Neil Young set to launch Pono streaming service | What Hi-Fi? Remember Pono? 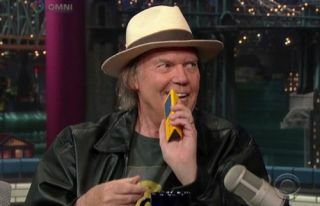 Neil Young's Toblerone-shaped hi-res player looks set to be joined by a Pono music streaming service. Pono Music, Neil Young's digital music service, is changing. Instead of just offering tracks to download, Pono plans to offer a hi-res music streaming service too. "We're gonna re-emerge as a streaming service and a hi-res download offering," Young told Rolling Stone. "We provide the best that's available. Full resolution music. Great sounding music." Young also confirmed he was working with a Singaporean company to "maintain our quality level when we go to streaming". He didn't explicitly say the streaming service would support hi-res audio, but given his commitment to sound quality, it's safe to assume it will. This will position it as a rival for high-end streaming services like Tidal and Qobuz. In fact, Qobuz Sublime is precisely that - a hybrid hi-res streaming and download subscription service. According to Young, Pono is still setting up partnerships to obtain streaming rights. He didn't say when the service would launch. Pono has had its share of troubles. Its online music store went offline in July after its content partner was acquired by another company (and remains offline). And this despite the PonoPlayer supposedly sounding "like God".